The Jigsy website builder will let you set up a solid blog with all the online marketing bells and whistles. Jigsy is a feature-rich website builder and has all the markings of a platform that makes setting up a functional website fun and easy. Right from the start, you will notice this builder’s flexibility in features such as the theme editor for customization, an easily-accessible button for adding content, and a preview mode. Admittedly, Jigsy doesn’t come close to the likes of Wix or Squarespace where eCommerce is concerned. While it doesn’t have its own eCommerce function, it does support seamless integration with the Ecwid plugin, which lets you build a full-fledged digital storefront. Jigsy offers hundreds of themes to choose from. Again, there is nothing particularly spectacular about the templates, but they do get the job done, regardless of your niche. An impressive feature is the blog function. 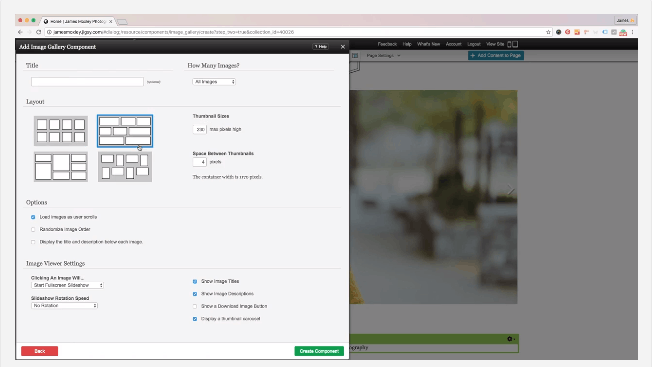 The blog editor is incredibly user-friendly and lets you add rich media (including videos and images) to your posts, categorize posts, and format text. Jigsy has many good things going for it, but if you’re going to use the free account, getting in touch with support may prove to be quite frustrating. All in all, if you are looking for an affordable way to set up a solid website with almost no learning curve, Jigsy could be a good choice. Modern Templates That Will Look Perfect on Any Device. Numerous, niche-specific themes: Regardless of your industry, you are sure to find a theme that suits you. Jigsy’s templates are not particularly cutting-edge but they are modern, clean, and will make for a good-looking website. It would be nice if the themes were grouped into their specific categories for easy selection. Customization: There are more editing opportunities on Jigsy than on many other website builders. You can personalize your website by changing fonts, background images, and text. If you swap your theme midway, you won’t have to worry about losing your content—all your edits will carry over. 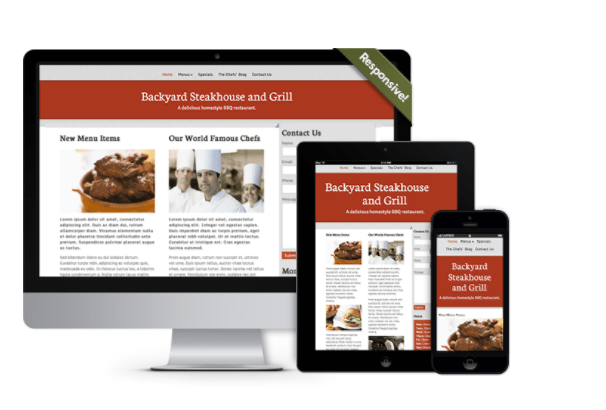 Responsive: While you cannot edit your website from a mobile device, most of the themes are responsive and will adjust seamlessly to any screen. On the downside, you can neither create a landing page nor make changes to your auto-generated mobile site, so you’re stuck with a generic mobile site, which is a bit of a deal breaker. Solid Features to Build a Full-Fledged Website. Blog: If content marketing is an essential aspect of your business, as it should be, you will appreciate the Jigsy blogging platform. The tool lets you set up and manage a clean and modern blog, create content templates, and edit post HTML, as well as add photos and videos to your posts. The robust blogging tool also lets you import the data on your WordPress blog, integrate social media, set up an RSS feed, and categorize your posts as well. eCommerce: Jigsy does not have its own eCommerce function, but Ecwid integration lets you build a free full-fledged digital storefront where you can sell up to 10 items. Obviously, if you are looking for a larger, more robust eCommerce site, you’d have to look elsewhere. What Jigsy offers is mostly for a small-business with a few items to sell. With an extra fee, you can integrate eBay and PayPal to display products for sale and for direct payment processing. While these are neat additions, if you are going to pay extra, you’re better off paying for an in-built eCommerce solution instead. SEO: Jigsy lets you add page-specific descriptions and meta keywords. In addition to offering beautiful sematic-based URLs, Jigsy ensures that your website content is neatly structured to allow effective crawling by search engines. Other nice marketing features include the ability to integrate Google Analytics to monitor important metrics such as referrers, unique visitors, traffic, and daily visitors. This feature is only available on the paid plans. One feature that stands out in terms of facilitating ease of use is the theme editor. With this tool, there is virtually no learning curve in customizing every aspect of your site including the body text, fonts, headings, and background images. You can easily change the basic layout of your page, edit entire content blocks, change the header image, and add YouTube videos. The design freedom here is much greater than you will find on many other site builders. Less Than Dependable Support, Especially for Users on the Free Plan. Support is not one of Jigsy’s strongest points. This could be because the company itself is comprised of a very small team. You can reach the support center directly through support tickets. However, this form of direct interaction with the support team is only available to customers on the paid plans. Jigsy claims that they can be reached via email, but my email went completely answered. There are a blog and a community forum, but these are largely inactive and won’t be of much help to anyone looking to get up to speed with the website builder. Perhaps the only good thing, as far as support, is the Wiki—it is pretty comprehensive, and the tutorials available will provide answers to common questions. More reliable support is required. In this day and age, Jigsy cannot afford to not provide easily accessible communication channels to customers. Jigsy has a free account and three premium plans. The free account comes with 25MB storage, one website with five pages, and Jigsy ads. The free builder does not offer a custom domain. Upgrade to the starter plan and you get 500MB storage, a website with 10 pages, a custom domain, priority support, and zero Jigsy ads. The Basic plan offers 2GB storage, support for three websites containing up to 99 pages each, custom domains, and priority support. The Premium plan comes with everything on the Basic plan, plus 5GB storage, support for 10 websites, and unlimited pages. One cannot compare Jigsy with more popular site builders such as Weebly, Wix, or Duda. However, if you are looking for a pocket-friendly platform with which to build a basic website, Jigsy wouldn’t be a bad choice. Do not expect much in the way of ground-breaking themes or eCommerce, but this builder will let you set up a solid blog with all the online marketing bells and whistles. Αναρωτιέστε πώς η Jigsy συγκρίνεται με άλλες εταιρίες Κατασκευής Ιστοτόπων; Εισάγετε οποιονδήποτε άλλον Κατασκευαστή Ιστοτόπων και εμείς θα σας παρουσιάσουμε τη σύγκριση πλάι πλάι.